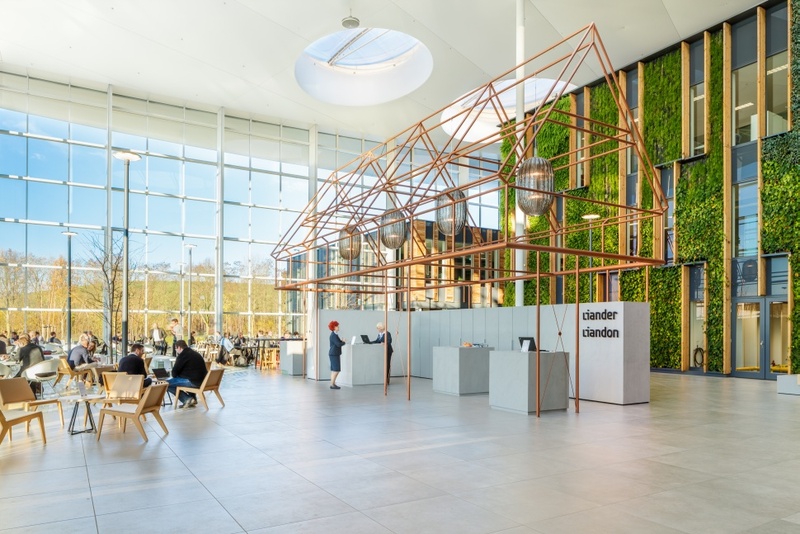 The transformation of the business park of energy grid company Alliander provides a strategy to revive seemingly outdated real estate: To umbrella several existing buildings with a roof, creating both extra indoor space, as well as a “greenhouse” which allows the office to obtain a positive energy balance. The buildings are then interconnected by walkways. Outfitting the walkways with features like a coffee bar, lounges and (flex) workstations makes the publicly accessible atrium the ultimate place for connection and the beating heart of the building. Up to 93 percent of all materials are part of a circular model: the building is actually a resources depot. Thanks to creative solutions from the entire consortium in collaboration with employees of Alliander, 80 percent of these resources are reclaimed materials. 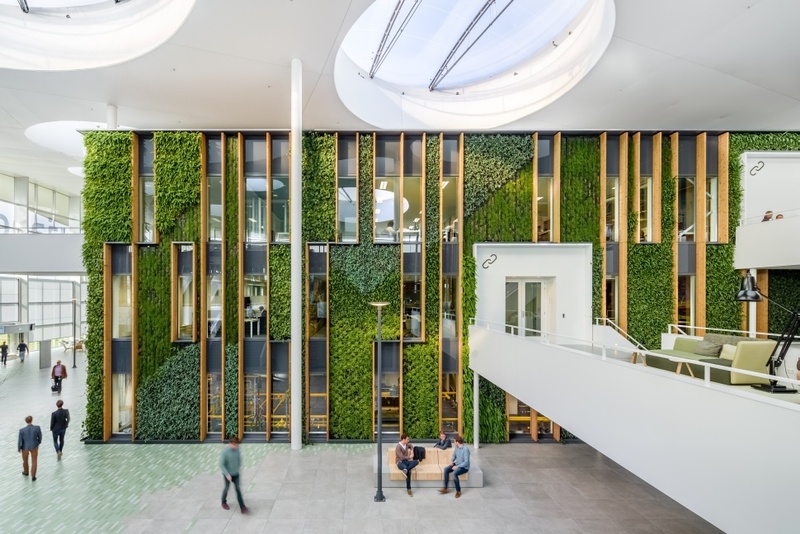 Moreover it is the first renovation to obtain a BREEAM-NL outstanding certificate. To house laboratories, workshops, technical training centres and offices, the existing building interiors were completely remodeled; with re-use of existing Casco elements, furniture and ceiling plates. 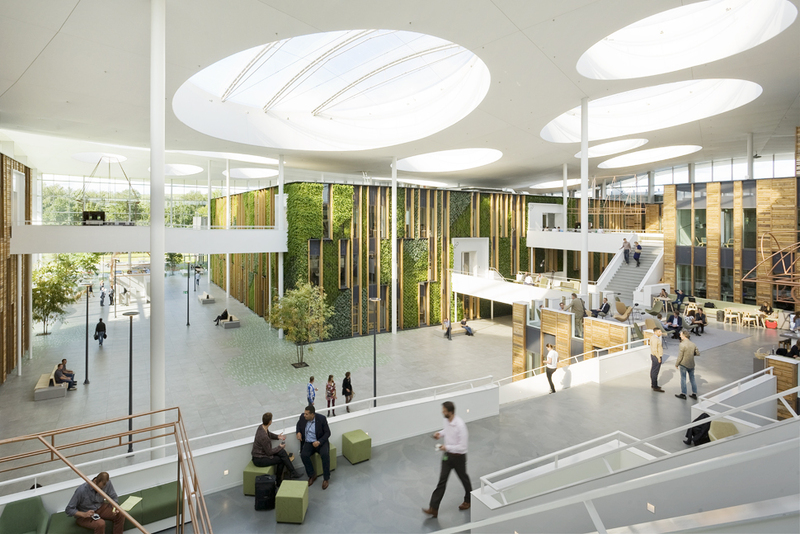 Each floor is accessed from the atrium and visible for all user groups to encourage interaction. 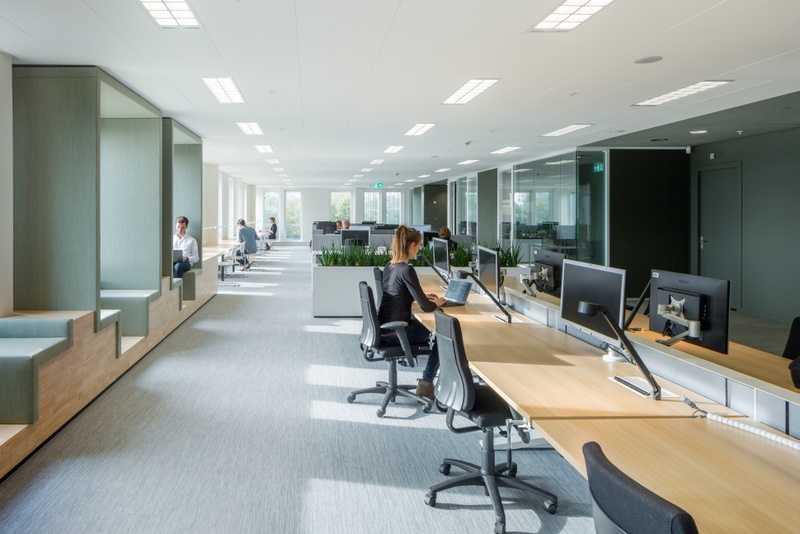 Entire office floors are arranged according to a type of activity – the workshop for collaboration, the library for concentrated working and the ‘classic’ office space. One of the advantages is that the interior can be adapted to changing needs with limited interventions. 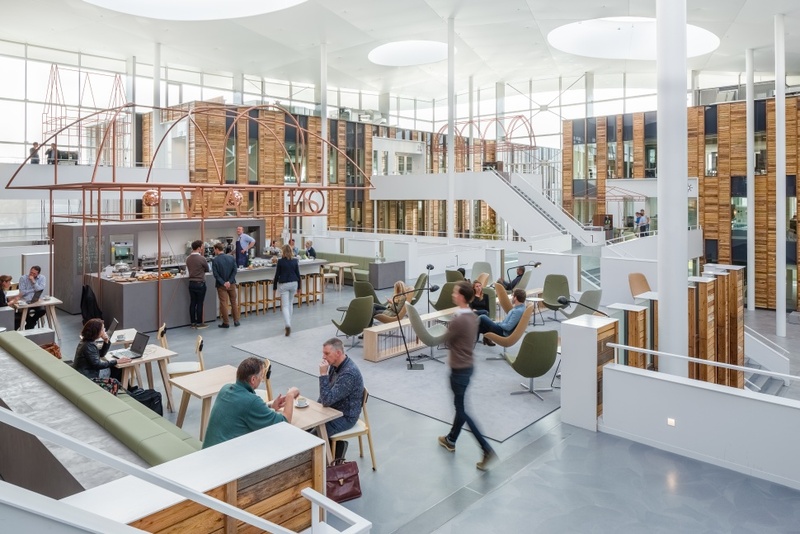 Fokkema & Partners was responsible for the design of the circular interior in the consortium VolkerWessels Vastgoed with Rau Architects, Boele&vanEesteren, Innax, Kuiper Compagnons, van Rossum Raadgevende Ingenieurs and Turntoo.